Sandy Patterson: You got hit by a car. Are you even human? Diana: The trick is to relax your legs. I read it on wikiHow. 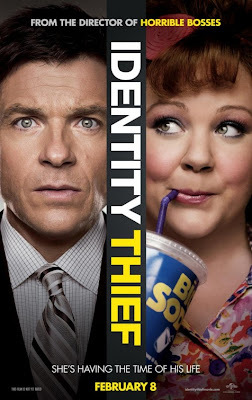 IDENTITY THIEF, the latest film from decent documentary filmmaker turned borderline horrible Hollywood filmmaker, Seth Gordon, is certainly true to its name. Not only does it carry on like a comedy of grandeur when it is really just an awkward and implausible mess, but it steals its odd couple premise from a great number of previous, and much funnier, examples, while trying to play out as original and fresh. PLANES, TRAINS AND AUTOMOBILES, you are not. Heck, you’re not even DUE DATE. 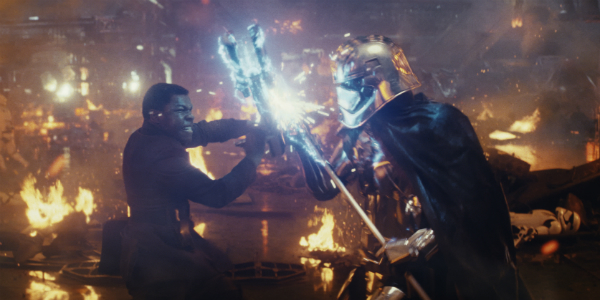 I know that movies aren’t always meant to be realistic but chumming it up with the person who stole your identity and ruined your life is pushing it for me. 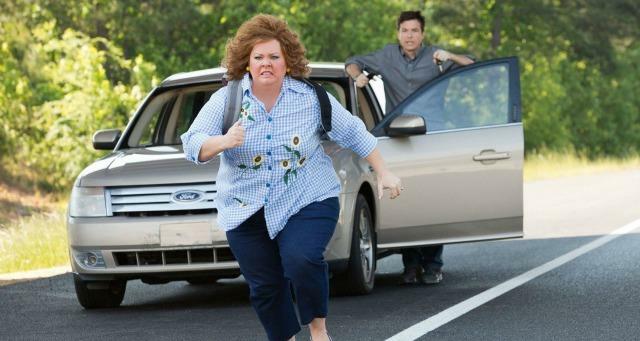 After Melissa McCarthy broke out in BRIDESMAIDS, it was imperative for Hollywood to find her a starring vehicle. Pairing her deadpan zaniness opposite the equally deadpanned stoicism of Jason Bateman in a mismatch comedy would seem, and should have been, like a no-brainer. The talent between these two could have, and again, should have, led to greatness but instead, it just made me terribly sad. Watching them waste their talents in this schlock made me very weary of where McCarthy could end up if she lets Hollywood just drag her along, not to mention where Bateman could end up, if he doesn’t start making more inspired script choices. Simply put, they deserved a higher calibre project and, quite frankly, so did we. It takes about five minutes to realize that IDENTITY THIEF isn’t going to work. Screenwriter, Craig Mazin, pieces his plot together with such lazy simplicity that you can see straight through to the end from the very beginning and you can also see it isn’t going to be a fun ride. McCarthy plays a girl with no identity, no rules and subsequently, no life or friends; while Bateman plays a guy with nothing but rules. Obviously, if these two were to end up in a completely nonsensical scenario, they would learn from each other’s differences and grow as human beings. McCarthy and Bateman work very hard to salvage this forced premise but there’s only so much they can do when they’re working with this little to begin with and there just aren’t enough laughs to make up for how insipid the whole thing is.